Fresh orange peels can be used to clean and shine stainless steel objects like the sink. Simply take some fresh peels and use them as you would use your sponge to scrub. The steel will also become water-spot resistant. You can use natural oil as a waterproof barrier. Avoid dish-washing liquid. Now you can keep your brown sugar from drying out. Place orange peels in the container of brown sugar and it will soften it. You can get rid of smelly shoes by putting orange peels in them. Face the inside portion of the peel towards the sole of your shoes and they will absorb moisture and leave them smelling wonderful. 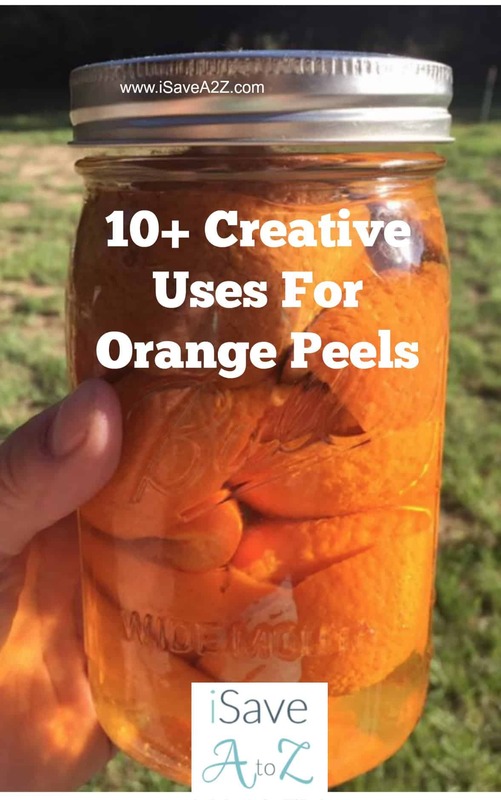 Keep leftover orange peel in a lidded jar and add white vinegar to it. Keep this jar in the fridge for a few weeks and shake it occasionally. Transfer it to a spray bottle and use to clean your windows, counter tops, or floors. You can use orange peels in your tea. Next time you make tea add orange peels and enjoy the result. Orange Tea is known to have anti-inflammatory properties! Keep mosquitoes away by spraying orange peels on your skin and rub the outside portion of the orange on your skin before heading out. You can use the peels as a scrubber. Wrap them in gauze and rub them on your skin while you are in the shower. It will make your skin glow and give you brighter skin. Chinese medicine uses bitter orange peels as natural medicine. Orange peels (as well as the underlying white pulp, or pith) are rich in hesperidin, a flavonoid that’s been shown to lower high blood pressure and cholesterol in animal studies. The oil from orange peels can be used to relieve anxiety and depression naturally. Massage with the oil and feel the difference. Fill a half-orange intact peel with olive oil for an emergency lamp. Use the pith as candle wick. This is easy to do and a great alternative when there is no other arrangement. Orange oil is flammable and catches fire easily. Next time you want to light a fire use orange peels instead of newspaper to start the fire. Burning orange peels in your fireplace will also remove any creosote. 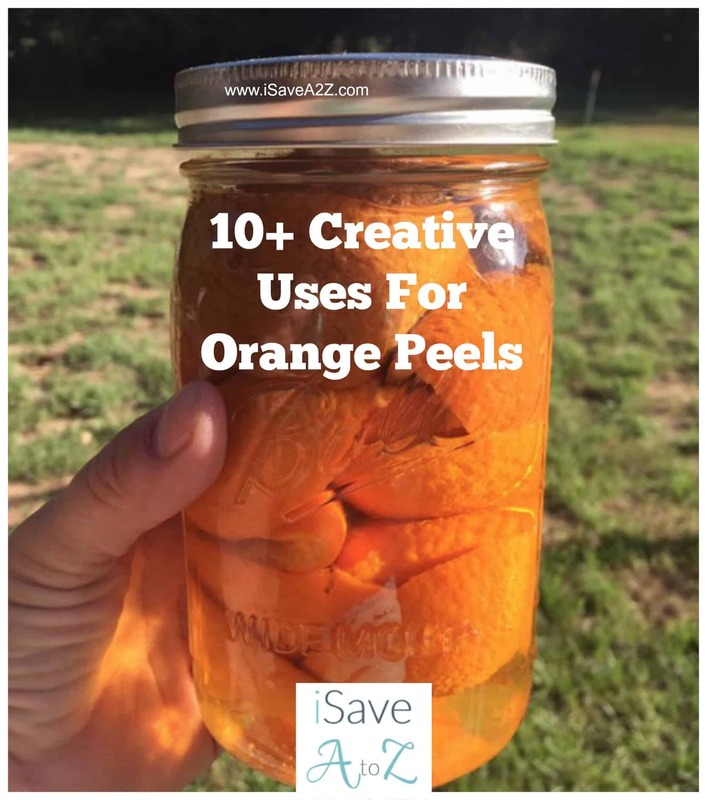 You can use orange peels as deodorizer. Put some in your fridge to make it smell good. You can also keep some in your garbage bin to eliminate stinky odors. By Jennifer on August 11, 2016 Cleaning, Frugal Living.